BANGKOK, Thailand, September 4, 2017 — Intouch Holdings Public Company Limited (SET: INTUCH), through venture capital arm InVent, leads a Series A financing round of Event Pop Holdings Pte. Ltd., Thailand’s leading end-to-end event management platform under the brand “Event Pop”. This is a unique investment round which involves co-investment among Thai corporate VCs (CVC) from different industries. Beacon Venture Capital, the VC fund of Kasikornbank (SET: KBANK) also participated in the round. “In particular, we are excited about Event Pop’s recent in-event cashless payment solutions and other potential new businesses which will build up to their solid foundation in event management platform. Consumer lifestyle and e-payment has been one of Intouch Group’s focus areas. We believe Intouch and Event Pop can add significant values to each other in terms of know-how, market access and customer base. In addition, Event Pop has recently won the national award in the ‘Rising Star Startup’ category at Startup Thailand 2017. The funding will be used to develop Event Pop’s new services in Thailand in addition to its core ticketing services, as well as exploring overseas expansion. Event Pop is InVent’s 12th portfolio company. Mr. Kim added. “With a successful launch of Spark - Event Pop's Fintech endeavor, a cashless payment solution in April 2017, serving one of Thailand’s most renowned events with more than 40,000 attendees over the course of 3 days with stability and zero down time. Event Pop is rolling out new products and services in 2017, which focuses on three main categories: Festivals / Entertainment, Business and Sports. One of the products will increase efficiency and precision of online marketing by utilizing attendee’s interests, spending, and post-event behaviors. The other products will serve our valued attendees, increase engagement and discover a breeze. Thailand has been recognized as attractive event organizing destination in Southeast Asia. The target of event attendees has tremendously increased in the past few years. We strongly believe that we can elevate the experience as well as add values to Thailand’s tourism sector.” Mr. Pattaraporn added. 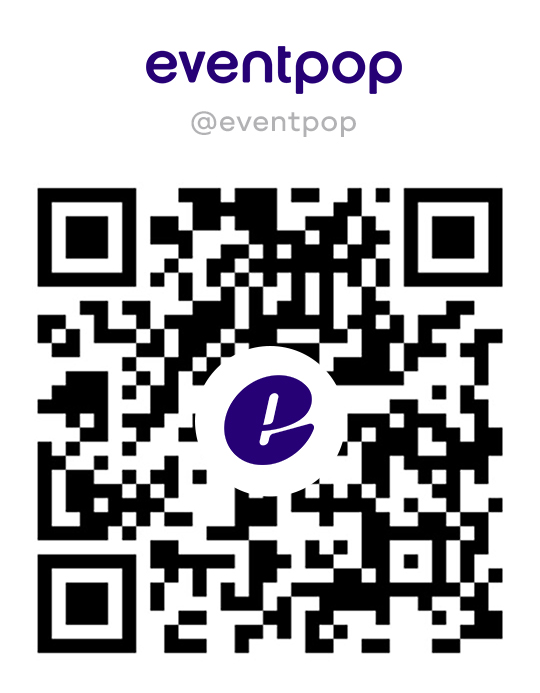 Established in 2015 and based in Bangkok, Event Pop is Thailand leading end-to-end event management platform with comprehensive technology-oriented services from ticketing and on-site access control to in-event cashless payment solutions and CRM suites. Event Pop is on a mission to enable the best live performance experiences to organizers and event attendees through the best in-class technology. InVent is a corporate venture capital project of Intouch Holdings PLC (SET: INTUCH), a Thailand-based asset management company in telecommunication, media and technology. Founded in 2012, InVent focuses its investment growth-stage internet and mobile companies in Thailand and Southeast Asia. A corporate VC pioneer in Thailand, InVent has invested in more than 10 emerging technology startups, contributing to Thailand’s economic development through innovation-driven businesses and new job creation across multiple sectors. Among its portfolio companies include Ookbee, Wongnai and Social Nation. Beacon VC is a wholly-owned corporate venture capital fund of Kasikornbank PLC (SET: KBANK), a leading commercial bank in Thailand with highest mobile penetration and largest SME base. With initial fund of THB 1 billion, Beacon VC focuses on strategic investments in early to growth-stage technology startups covering not only financial technology (fintech) but also lifestyle and deep technology sectors such as artificial intelligence (AI) and enterprise IT.